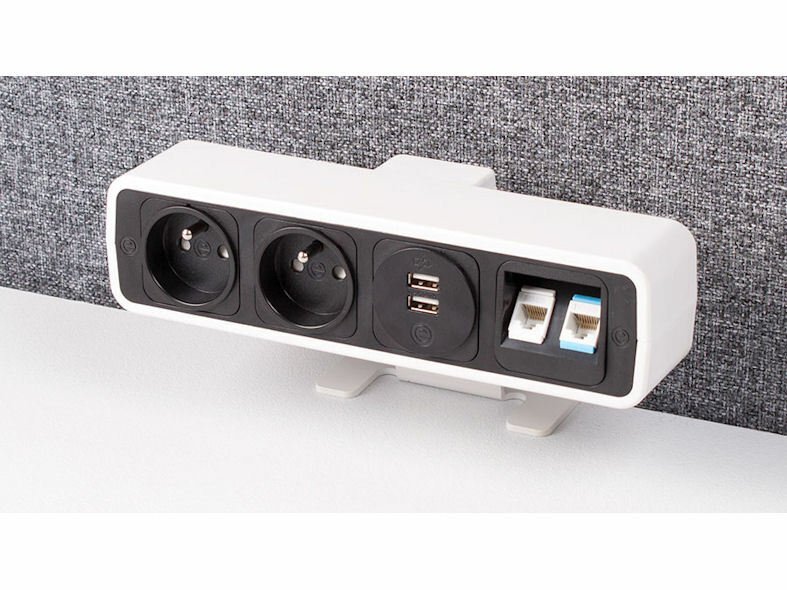 Compact and stylish desktop unit providing flexible modular power and data distribution; ideal for office desks and screens. 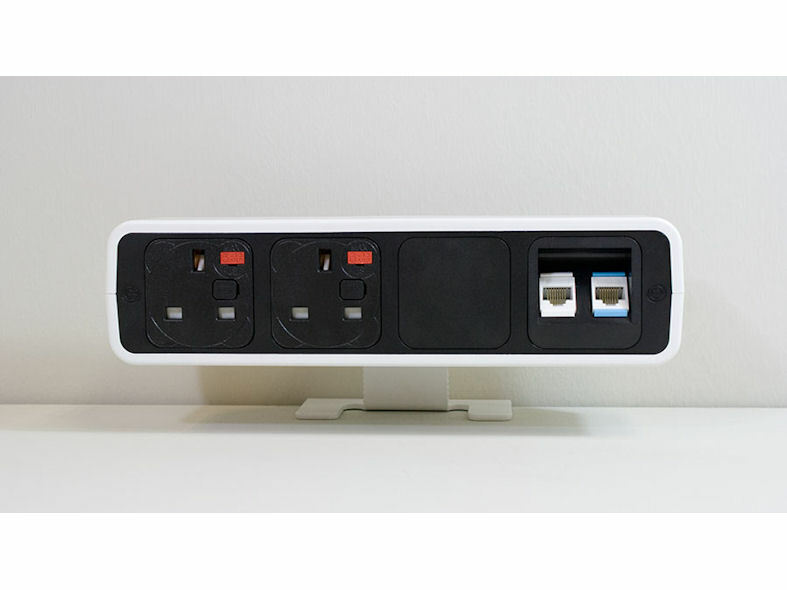 PULSE ‘floats’ above the desk releasing the desktop and takes its design influence from modern life – clean, simple lines with no-nonsense understated function and uncompromising style. 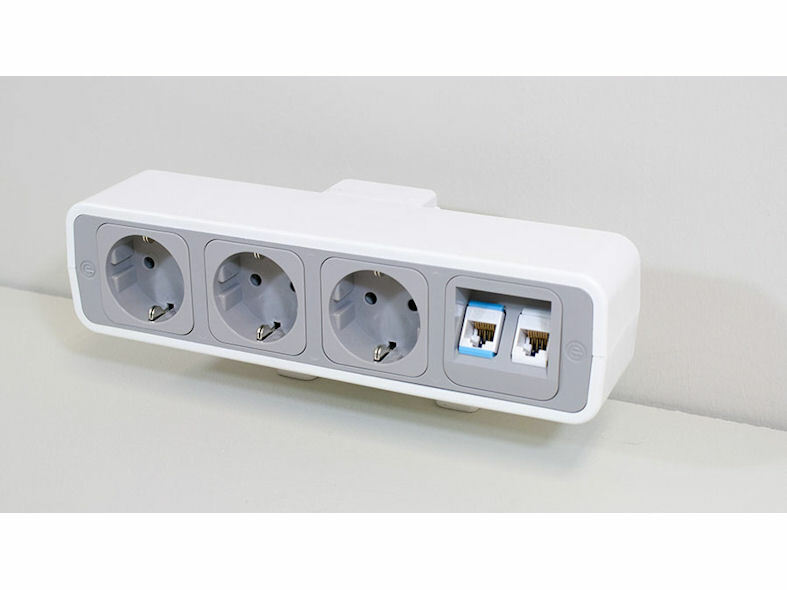 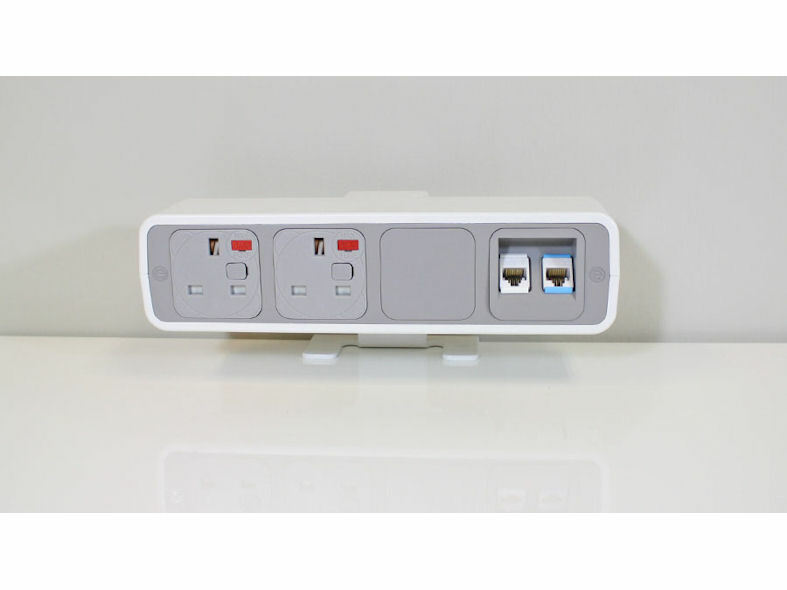 PULSE can be manufactured to meet specific requirements with mains power sockets formats for most countries together with a wide range of data outlets. 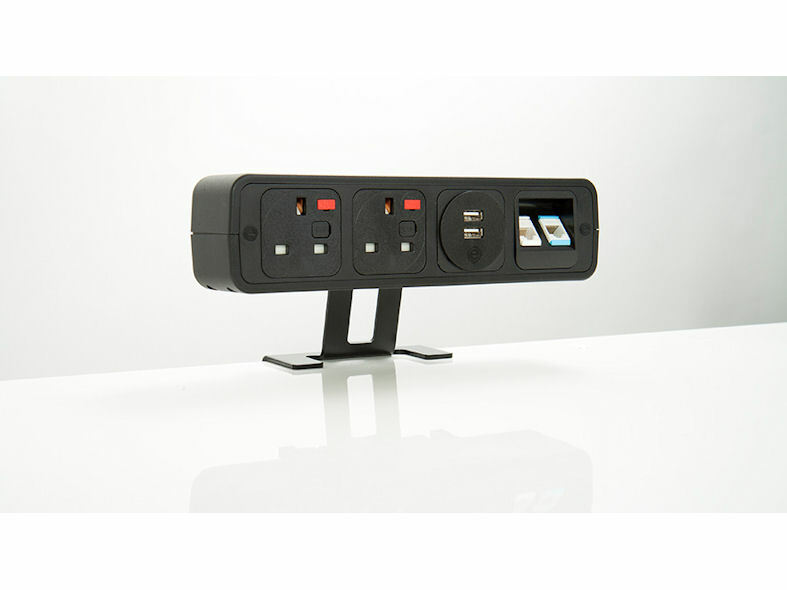 PULSE continues OE Electrics 'soft' theme with interchangeable fixings to suit any desk location, including screens.